Is email marketing “archaic” and “dead”? Of course not! While marketing efforts have become more costly and complicated over the years, email marketing still continues to be a very valuable and effective way to reach customers. When compared with other marketing strategies, it’s relatively inexpensive to use email marketing to connect with current and potential customers. Additionally, your customers will appreciate your emails—but only if you manage to provide value! Because the average person gets 121 emails a day, you must find new ways to stand out and keep your customers subscribed and engaged. 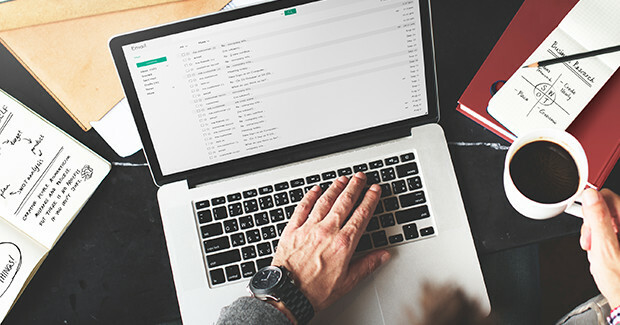 Here are 4 email marketing campaign ideas that will pique your subscribers’ interests and ensure they keep opening and engaging with your future email campaigns. One of the best ways to entice people to open your emails is by offering them a discount—everyone loves a good deal! People will definitely appreciate the offer, even if it’s just for 5% off. Additionally, they’ll feel extraspecial if the offer is only valid to those who have received the email. Plus, it’ll make them want to open your email campaign the next time you send one. Are you an expert at something? Create a quick how-to guide and send it out to your subscribers! This can be something as simple as “10 Ways To Create The Garden Of Your Dreams” if you’re a nursery owner, or “The Complete Guide To Preparing Your Home for Fall” if you own a home improvement store. Alternatively, if you’d like to create shorter articles on these topics instead, you can create simple “blog” posts, and ask your email subscribers to visit your website to see your tips. A contest is a great way to regain the attention of past customers as well as subscribers that have not engaged with your email campaigns for some time. The contest can be as simple or complex as you’d like—it will still receive attention no matter what. As long as you make the contest entry rules simple and easy to understand, you are sure to have many excited participants. If you cannot or do not want to give out specific discounts or offers via email, you can use your email campaigns as a kind of “sales ad” for the week or month. You can use them to promote any big sales that you’ll be having that week such as a ‘Labor Day Sales Extravaganza” or announce any special events that will be coming up such as a Block Party or Sidewalk Sale. If you have trouble creating content or working out all of the details of your email marketing strategy, enlist the help of an email marketing company. An email marketing company can offer insight as to which email marketing strategy would be best for your business and why. When used correctly, email marketing campaigns could yield up to a 4,300% ROI! So what are you waiting for? Get started with email marketing today!